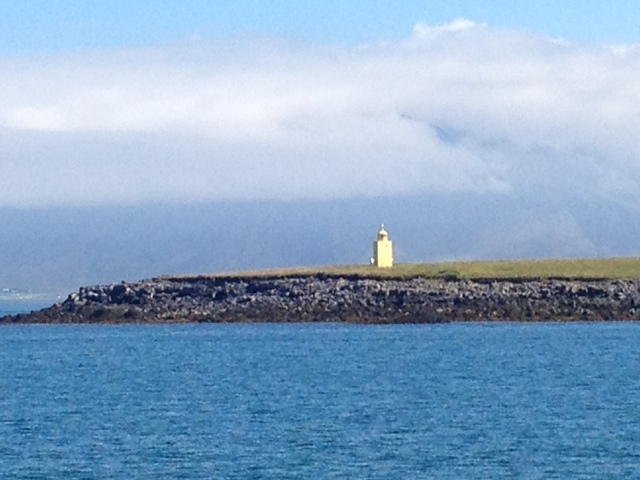 This morning we joined a whale what hong tour in Reykjavik bay. First stop was an island infested with Puffins. 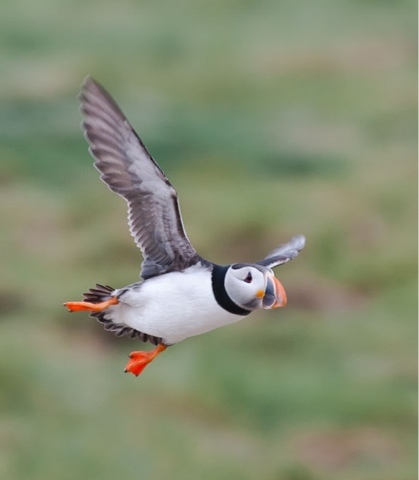 This was very special as I've been trying to spot these little buggers on both coasts of the UK but as their young had left the nests they were leaving for six months at sea. There were 1000s of the little "Priests" as the Icelanders call them. In fortunately they ere a fair way away and very fast so photos were beyond my little cameras. Onward to the bay. Here we saw heaps of Minki whales, which I'm assured by the Japanese scientist beside me are very tasty on rye with mayo. Also a lawful pod of white nosed dolphins played around the boat. Again my camera was not up to the task. Al my photos were either little black dots on blue or bigger Blake smudges on blue if the whale was speeding past the boat.